For the first time in the history of Indian film-making, Hindustani-Dutch artists will play a role in an Indian film. Narsingh Balwantsingh (shown here), Fareisa Joemmanbaks and Kiran Sukul will be making their Indian film debut in Saiyaan Chitchor (Eternal Love). The film in which major Bhojpuri artists Manoj Tiwari and Nagma will be starring is scheduled to start shooting in September 2007 in Uttar Pradesh, Bihar (North India) and the mega filmcity complex in Mumbai. It should be released in December 2007. Eternal Love will be in the Bhojpuri language, spoken by both the Hindustani in the Netherlands and in Suriname. Has Nitish kumar been able to meet the aspirations of people of Bihar? Overall, Biharisation became a pejorative catchword to denote decadence in the Laloo era. People of Bihar wanted Bihar to be rescued from this cesspool and poised on the path for development. Has Nitish Kumar been able to bring about the desired change? Nitish-loyalists would say that Bihar's wounds, festering for decades, needed a much longer time to heal, even with a committed and deft physician attending to it. They would argue that Nitish Kumar is earnestly making effort to put Bihar on the roadmap of progress and it would take another couple of years for the results to show on the ground. Then the question is: are Biharis feeling, if not seeing, that they are on the cusp of a positive change? The answer is mostly yes. Biharis in general, who have no political axe to grind, do believe that Nitish kumar is doing his best, against all odds, to make a difference in the state. Roads are being built; efforts are afoot to increase power generation; educational institutions are being streamlined. What is most important, a conducive investment climate is being created by improving the law and order situation. In the Nitish era, politician-criminals are virtually on the run. Organised extortion has largely disappeared. The command structure of the police force has been re-established. Ordinary people feel that they are no more at the receiving end of the politician-criminal-police nexus. Not surprising that corporate houses, which had fled the state or which dared not enter its territory, are now making a bee-line to start business in Bihar. Thus there is a feel in the air that Bihar is changing, for the better. But there is a flip side to the Nitish regime as well. Some of the very well known citizens of the state, whose life history would vouch for their integrity and commitment, feel that Nitish Kumar, despite his best intentions, is hamstrung because of his over-dependence on a small coterie of bureaucrats for policy formulation as well as execution. The chief minister has a forum called Janata Durbar to interact with the hoi polloi, but that is mostly used by the CM to listen to and redress specific grievances. That is not a forum to discuss acts of omission and commission of his government. Many activists, who have great faith in Nitish Kumar's ability to turn the tide, rue the fact that he is increasingly becoming a prisoner of bureaucracy, having no window to the feedback from outside the charmed circle. What is striking is that this accusation against the chief minister is not confined to the activists alone; politicians of the ruling party, including some of the ministers vigorously endorse it. Some senior bureaucrats too, who have had exemplary record of performance in the Bihar government, have failed to get the ears of the chief minister as they are not on good terms with the coterie. Nitish loyalists would argue that it is impossible for a chief minister to listen to the unsolicited advice or feedback of everyone who claims to work in the interest of the state; he has to depend on his trusted lieutenants to carry on the affairs of the state. Well, that kind of logic is valid for most of the chief ministers who claim and feel that they are working in the best interests of the state; but when they go out of power they realize what a misconception they suffered from. After all, trusted lieutenants are wont to present a rosy picture, but very often that is misleading. Gandhiji therefore always made it a point to touch base with scores of people drawn from different parts of the country to listen to their critiques of his ideas and actions. Nitish Kumar, a Gandhian in spirit, must also find space and time for his well-meaning critics if he has to succeed in the gigantic struggle to change the face of Bihar. A) A young man in the Indian state of Bihar who asked for food grain as part of promised flood relief from his proxy village chief, was allegedly beaten up and had acid poured into his eyes. According to doctors, the man, a landless farmer and father of two daughters, is most likely to lose his vision in both eyes. B) A young man, also in Bihar, committed a petty crime and was pounced on by a crowd. The now infamous video clipping aired repeatedly on Indian news channels, shows the thief kicked and beaten up by a mob. When the police arrived on the scene, instead of stopping the brutalities, they chained him to a two-wheeler and dragged him across Bhagalpur town. At the time of writing, the offender was still in prison. The Petty Crime Man's case, however, triggered, nothing less than shock across the country, that is traditionally used to viewing such scenes on a 70mm fictional format. And, so, action has been initiated - possibly even to avoid rioting in a town historically linked to communal violence. The guardians of human rights have swung into activism mode, the bureaucrats have demanded reports and we debate. In the Acid Eyes Man's case, the offender remains free and denies any knowledge of the incident. Given the demographics, there are always crimes that surprise, shock and scare. Indian newspapers still report them. However, in today's India, it takes video footage that is high on the vile scale to set tongues wagging and feet running. Crime seems to have hit the extremes. It gets noticed when the people are pretty and the crimes are ugly. Otherwise they're restricted to newspaper archives. And mostly forgotten. Sometimes even by the authorities. In recent weeks the extensive words and images dedicated to celebrity arrests has been embarrassing. Mediapersons, who claim to strive for excellence in reporting the nation's matters, spent more time following the build-up to actor Sanjay Dutt's prison sentence as opposed to the floods that displaced millions of people. Many citizens wrote in to newspapers and ranted online, lamenting their sad state of turning to foreign channels for updates, as the Indian ones preferred to broadcast the Life of Sanjay Dutt in Prison. And now the trend continues with another actor Salman Khan in prison. Polls on the pressures of celebritydom and the victimisation of stars are rampant. As jail sentences are glamorised and becoming a new PR tool, media men and women are lapping it up and more often than not leaving their viewers cheated. The reality is that the majority of the Indian mass media has been "Bollywooded". Dislike it, and you're left branded (pun intended). Today, P. Sainath, one of India's journalists, who has persistently reported on rural India will be honoured with a Magsaysay Award in Manila. Agree or disagree with Sainath, but he makes for such compelling reading and can be credited as having made rural India accessible and understandable to us urban people. Sainath's recognition is a reminder to the media of needing to remember the masses. There may be no punishment for the crime of forgetting them. But, rest assured, there are no rewards. he Indian Railways is setting up its three locomotive manufacturing units in Bihar on a public-private-partnership (PPP) model. It would offer 74% equity to private players in the proposed ventures. The three facilities include a diesel locomotive manufacturing unit at Marora, an electric locomotive unit at Madhepura and a rail coach factory at Chhapra. “In accordance with the direction from our minister, the three units will be developed on a PPP model. In fact, with these ventures, the Railways are not even looking at a majority stake in the venture,” said a top Railway Board official. “There is a growing need for new and advanced locomotives, which need to materialise in the shortest span possible. The answer to which lies in setting up manufacturing units with greater private participation,” the official added. The move seems to be in the right direction and is quite significant for private players, like Bombardier and Siemens and GE, who have shown keen interest in the Indian rail transportation segment. “We are very keen on this project,” Siemens executive vice president VB Parulekar said. “While the development is absolutely welcome, the only hitch is that it involves investment in Bihar,” he added. Siemens is pretty keen on bidding for the Electric locomotive unit and the rail coach factory. GE is also expected to invest $100 million in a joint venture. These investments are required for building the Rs 30,000-crore dedicated rail freight corridor. The Delhi-Mumbai-Kolkata freight corridor will be built with Japanese assistance. The railway minister has had meeting with all the recognised global players, including GE global CEO Jeffrey Immelt. The locomotives, to be manufactured in the units, would be equipped with state-of-the-art technology, capable of hauling longer and heavier trains. The new coach factory would also provide high-capacity coaches. “We have asked PricewaterhouseCoopers to draft qualification criteria, request for proposal, bidding and selection processes,” an official said. According to sources in Rail Bhawan, the railways need to spend around Rs 80,000 crore in rolling stock by 2010 and 50% of this is expected to be produced by the private sector. Bihar Chief Minister Nitish Kumar has promised government jobs for sportspersons winning medals while representating the state at national and international events. Addressing a function organised by the state art and youth affairs department to felicitate players on the occasion of 'khel diwas' here yesterday, the Chief Minister said the state government would guarantee jobs for players who won medals and brought pride to the state while participating in national and international events. "Such prominent medalists from the state need not apply for jobs forthwith as the state government itself will go to them offering jobs on the pattern of private sectors," Kumar said. He announced that the state government would increase the sports quota in the government services. The Chief Minister also released the state sports promotion policy on the occasion. Stressing the need for creating an atmosphere conducive for promotion of sports in Bihar, Kumar said the state government was making all-possible efforts to improve the infrastructure for sports. The Bihar government has completed land acquisition for setting up the ambitious Nalanda International University modelled on the famed ancient seat of Buddhist learning there, an official said Thursday. "The total acquired land was 448.0957 acres. It was handed over to the state government," Nalanda district magistrate Anand Kishor said. Kishor told IANS that land acquisition for the proposed university was completed in five months. "We will soon construct a boundary wall around the acquired land," he said. Last week, the state government had appointed former president A.P.J. Abdul Kalam as the first Visitor of the proposed university. The state cabinet took the decision under the University of Nalanda Act, 2007. Kalam is likely to visit the state in September to help the university draw up its rules and regulations. Bihar Chief Minister Nitish Kumar had offered the post to Kalam last month. The University of Nalanda Act, 2007, says the Visitor will play a key role in the constitution of the governing body, which will be the supreme body of the university. The Visitor will have the power to inspect the varsity and appoint one or more persons to review its work and progress. The first meeting of the Nalanda Mentor Group, headed by Nobel laureate Amartya Sen, to oversee the opening of the university, was held in Singapore in July. The state government has sanctioned Rs.10 million for setting up a board and establishment of an office of the university in New Delhi, which will carry out the liaison work of the proposed university. The university will be built at a cost of Rs.6.3 billion. Thousands of poor women thronged CM Nitish Kumar’s Janata Durbar at 1, Anne Marg, on Monday. They carried applications seeking monetary help for marriage of their daughters. In fact, this category of women far outnumbered all others who came to the CM with their problems. With about 70 per cent of the women at the durbar seeking financial help for their daughters’ wedding, a surprised Nitish told , "We will work out the Kanyadaan scheme within a week." "The applications received here will be verified and if they deserve the benefit, they will get it," said Nitish. But he said the scheme should not have been given publicity prior to its formulation. He said, "Once this scheme is formally announced, the women need not apply here. A separate mechanism will be developed to handle it." Nitish turned to his special secretary, Chanchal Kumar, and directed him to work on the scheme "despite your engagement in flood relief and other pressing work." Officials, however, feel the arrival of hordes of women seeking monetary benefit for their daughter’s marriage is politically motivated. They have all come from a particular assembly constituency — Phulwari. The officials are of the view that the Opposition RJD is trying to take political mileage by embarrassing the government. A section of officials said jeeps ferried these women to 1 Anne Marg. "All of them had either photocopies of electronic type-written application or just typed on manual typewriter," said one of the officials. With all chairs in the sprawling hall occupied, they squatted on the ground. Veena Devi from Anisabad said, "I heard that sarkar will give money for marriage of daughter so I am here." Rita Devi of Sheikhpura said, "A local neta told us about the scheme and asked us to attend the durbar." Bhagwati Devi said she paid Rs five to get a printed application. The CM agreed that due to the crowd of kanyadaan benefit seekers, the people coming to seek help on other issues might suffer. "I am now more attentive going through their papers. A little diversion and an important matter may slip," he said. When it was pointed out that women seeking financial help for marriage of their daughters were politically sponsored, he asked the intelligence officials to look into it. "If it is so, they cannot browbeat me," he said. The National Commodity and Derivatives Exchange (NCDEX) will open the country’s first spot market, or mandi, for commodities in Bihar in August in a move that promises to change the face of commodities trading in a country where more than 60% of the population still earns its livelihood from agriculture. Experts say the spot exchanges will ensure farmers get a fair price for their produce, remove middlemen from the trade and render the entire process of agricultural sourcing more efficient. That should help companies, such as Reliance Industries Ltd, Bharti Enterprises Ltd and the Aditya Birla Group, which have entered or are entering the fresh produce retailing business. India produces agricultural commodities worth Rs7.5-8 trillion, including grains, vegetables and fruits, but these are traded through either informal marketplaces or government controlled Agriculture Produce Marketing Committee (APMC) outlets. Private companies, such as cigarette and consumer goods maker ITC Ltd have created mandis or commodity buying platforms, but while there are multiple sellers in these markets there is usually only one buyer—the company. NCDEX and rival exchange Multi Commodity Exchange (MCX), through its spot trading arm National Spot Exchange, had both asked the government for permission to set up spot trading markets. The government currently only allows futures trading in commodities. Spot trading would help farmers and buyers price products far more accurately than they now do, said an expert. “Usually, futures prices follow spot prices. But here (in India) we do not have a clear sense of spot prices because prices can vary from one region to another. If this is successful, we can see authentic price discovery,” said Kishore Narne, vice-president for commodities research at Anand Rathi Securities, a domestic brokerage. “If you don’t have physical delivery and do not promote it, you’re not going to have a futures market in its proper form,” said minister of state for commerce Jairam Ramesh in a recent interview with Mint. NCDEX has acquired the requisite approvals from the government for the Bihar exchange and started enrolling farmers and traders who will participate in the mandi which will deal in maize and sugar. The Bihar spot market is one of nine that the exchange wants to operate across as many states and NCDEX’s managing director P.H. Ravikumar said it would “slowly extend” its network. The spot trading exchanges NCDEX and MCX want to set up will have warehouses where produce can be stored. Farmers will take their produce to the warehouse, have its quality ascertained and certified, look up spot prices and future prices, and search for buyers. The farmers will get the money the day the produce is sold. These mandis will “help to create a benchmark for prices across the country,” said Joseph Massey, deputy managing director at MCX. NCDEX’s Bihar mandi will have an electronic board listing spot prices. Farmers also have the option of selling on the futures markets through NCDEX terminals at the mandi, thereby ensuring that they get a certain price for their produce when it is ready to be sold. The process “will lead to a stability in prices and cutting down of intermediaries,” said Madan Sabnavis, chief economist at NCDEX. Concerned that futures trading in commodities was resulting in speculation and a rise in prices, the government has banned such trades in certain commodities. It has also set up a committee to study the issue. Both NCDEX and MCX have announced plans to set up sophisticated national networks for spot trading, but regulatory hurdles have held them back. All spot trading exchanges are required to report trades to APMCs. Over 500 people have perished in the current spell of floods in Bihar with fresh reports of 23 deaths from six flood-hit districts on Monday as nearly 20.5 million people continue to reel under the impact of floods in 20 districts. State Disaster Management Department sources said 23 more deaths were reported from Darbhanga (09), Samastipur (04), Begusarai (02), East Champaran (04), Madhubani (02) and Muzaffarpur (02) during the past 24 hours, taking the toll to 501. Darbhanga alone had so far accounted for the largest number of 98 deaths, followed by Samastipur (84), East Champaran (78), Muzaffarpur (51), Khagaria (50) and Begusarai (20). Rest of the deaths were reported from flood-hit Supaul, West Champaran, Madhubani, Nalanda, Madhepura, Vaishali, Sitamarhi and Katihar districts. Nearly 20.5 million people of 9,864 villages under 225 blocks were affected by floods in 20 flood-hit districts where standing crops worth over Rs 701.93 crore in 15.88 lakh hectares of land had been damaged, they said. Besides over 4.01 lakh houses, the value of which was estimated to be Rs 431.52 crore, had been destroyed, they added. Altogether 6,965 boats have been deployed for providing relief material to the affected people and evacuate the marooned villagers to safer places, sources said. Around 9,93,470 marooned people had so far been evacuated while 1302 relief camps, 349 cattle camps and 538 medical team were working round-the-clock to provide succour to the flood-hit people, sources said. The authorities had so far distributed 3,89,143 quintals wheat, 1,90,843 quintals rice, 101 quintals gram, 304.24 quintals salt, 46.55 quintals sattu, 12,723 quintals gur, besides Rs 30.17 crore cash, 1,47,842 match boxes, 1,97,515 candles and 2,30,17 metre polythene sheets among the people affected by floods, they said. IAF helicopters had airdropped 70,796 ready food packets in the areas inaccessible by roads, they said. According to Central Water Commission sources, the situation remained grim with some major rivers, though maintaining receding trends, flowing above the danger mark at certain points along their course. Ganga was flowing 36 cm above the danger mark at Kahalgaon and water level of Burhi Gandak was still above the red mark at Sikandarpur (84 cm), Samastipur (249 cm), Rosera (218 cm) and Khagaria (24 cm). Similarly, Bagmati was flowing 62 cm and 151 cm above the danger level at Begusarai and Hayaghat and Kosi was above the danger mark at Baltara (134 cm) and Kursela (84 cm), CWC sources said. According to a report received from Muzaffarpur, a block development office Shailendra Nath, posted in Sakra, was attacked when he along with an additional collector visited Rukanpura village for making assessment of the flood situation. Nath escaped with minor injury in the attack, the report said, adding an FIR was lodged with the Sakra police station against some people, including Ashok Rai, a ward councillor, in this connection. Bihar has entered the global knowledge industry with a German MNC, Biobase, deciding to open its production and training centre in the state. Biobase helps resolve the bioinformatic challenges of its customers worldwide. It helps rationalise drug development time and cost and improves the quality and outcome of drug development research. It is the leading content provider of the biological database for life science industry. Biobase CEO Michael Tysiak flew down here on Sunday to discuss the final details of opening the centre with state science and technology department. "We will be the local consultants of the company and facilitate in the provision of infrastructure needed to open the centre," said department principal secretary Ajay Kumar Thakur. He described the development as a major lead for the state towards integration with knowledge industry. "In India the company has its office in Bangalore. The very fact that it has chosen Bihar for expansion is a very positive development and it will boost the image of the state," he said. "This is the first time a top-knowledge product is going to set-up a base in Bihar," Thakur said. He said his department will be associated with Biobase in setting up an academy and research centre. "The centre will take 30 students and train them in biological database. The students will either be absorbed in Biobase or will get highly-paid jobs in other companies since there is a dearth of biotechnology experts," he said, adding if everything works out well, the company should start its production centre within two months. at a school just three km away. the desire to see thousands of villagers crossing the hill with ease whenever they wanted,” Manjhi said. “Though most villagers taunted me at first, there were quite a few who lent me support later by giving me food and helping me buy my tools.” Today, the villagers have nothing but gratitude for Gaya’s mountain man, known almost universally now as Sadhuji. literate, which makes them the community with the country’s lowest literacy rate. For many of them, the day’s main meal still comprises roots, snails or rats, from which the community’s name is derived. is now known as Dashrath Nagar. Manjhi’s other efforts have been less successful. Despite his herculean feat, the Bihar government has given him only token appreciation and insincere help. because of claims made by certain quarters in the bureaucracy that he did not actually carve out the hill road single-handedly. The villagers who benefited from his labour were outraged at these reports. him a state funeral last week — but, as he well knew, it is his work that will live on longer than any honour. The Bihar government on Friday formally notified former President A P J Abdul Kalam's appointment as visitor of the University of Nalanda. Kalam's appointment came after Chief Minister Nitish Kumar met Japanese Prime Minister Shinzo Abe and Prime Minister Manmohan Singh in New Delhi on Wednesday. The university is a project promoted by Kumar. Kalam would soon visit the state to formulate the rules and regulations of the university coming up with international support. Bihar Cabinet yesterday approved the University of Nalanda Act 2007 and with its notification by the State Human Resource Department, Kalam has formally been appointed as the visitor, the department's Principal Secretary M M Jha told reporters. This fulfilled the promise made by the Chief Minister to give the people of Bihar a university of international standard, Jha said. The varsity's rules and regulations will be framed in consultation with the visitor and notified in the official gazette, Jha said. The length of the visitor's service and other details will be decided after framing the regulations, Cabinet Secretary Girish Shanker said. A 120-strong contingent, comprising ministers, bureaucrats, tour and travel operators and mediapersons, from five Buddhist nations will arrive here on September 5 on a five-day visit to the state under a Buddhist promotion mission — “Mekong to Ganga”. The five Buddhist nations are Thailand, Vietnam, Laos, Myanmar and Cambodia. The team members will leave for Varanasi on September 9 on a three-day visit. The Bihar government on Friday reviewed its preparedness in this regard under the chairmanship of chief secretary A K Chaudhary. The team, which is being coordinated by the ministry of external affairs, will visit Bodh Gaya, Rajgir, Nalanda, Patna and Vaishali by road during its five-day stay in Bihar. The state government has decided to organise cultural programmes in the honour of the visiting delegation during its stay in Patna and Bodh Gaya. The Mekong is regarded as the 10th longest river in the world. It originates from the Tibetan plateau and runs through the China’s Yunnan province, Myanmar, Thailand, Laos, Cambodia and Vietnam. Singh, who is also the state culture secretary, said that the Bihar government has made adequate security arrangements for the visiting guests. “We will distribute free-of-cost copies of promos and attractive brochures among the visiting delegation and travel agents,” said an official. The brochures give information about the various tourist sites of the state and tariffs of the Bihar State Tourism Corporation hotels and buses. Earlier this year, a 123-member Buddhist delegation from China had also visited Bihar on a goodwill mission under the cultural exchange programme of the Indian Council for Cultural Relations. A large number of Chinese monks of the high order comprised the team. Last year, a 64-member Chinese delegation visited Bihar to explore the “forbidden” route of the legendary journey of famous Chinese traveller Xuanzang (Hiuen Tsang) from Xian to Nalanda by road to commemorate the year of the Indo-Chinese Friendship, 2006. 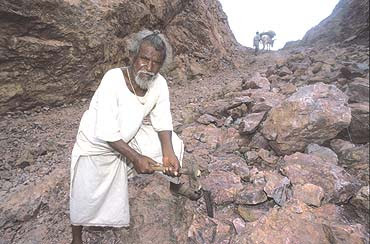 Dasrath Manjhi, the 'mountain man', dies. His one act inspires all. Every morning, for 22 long years, a frail, diminutive man, barefoot and clad in a loin cloth, would trudge two kilometres to a hillock of solid rock and chip away at it with a hammer and chisel. Bemused onlookers thought he had lost his mind, and he was an object of great fun for village urchins. But the women of the village, young and old, admired him, for his was a labour of love. Dasrath Manjhi was building a memorial to his wife Phaguni Devi—one that won't ever find a place in hallowed global must-visit lists, but can well be passed down from this generation to the next as a monument of love. A poor man's Taj, literally. Not for its aesthetics, but for the way it symbolises the human spirit's capacity to endure, its indomitability. Dasrath had undertaken a Herculean task, perhaps unequalled in recent human history. The direct beneficiaries may be few—the residents of Gelaur, a remote hamlet in Bihar's Gaya district—but the act itself is a gift to us all: a fable for our times. Today, a week after his death, Dasrath Manjhi is remembered by everyone in his village as 'Dasrath Baba'. In caste-ridden Bihar, under normal circumstances, he would never have qualified for this title, which only a Brahmin is entitled to. Dasrath was a Musahar, a caste which traditionally ranks among the lowest of the low. Musahars derive their caste name from their unusual occupation—they dig through rat-holes after harvest, and forage for the grain stored by bandicoots (moos in the local lingo) under the ground. When there's not enough grain, they've been known to hunt and eat the bandicoots to keep hunger at bay. Dasrath eked out a living as a farm hand, toiling in the fields of local landlords on bare subsistence wages. One day, in the early '60s, his wife Phaguni fell ill and Dasrath set off with her to the nearest hospital. She died on the way. If only there was no hill blocking the road to the town, Dasrath would have made it to the hospital in time, and perhaps his wife's life would have been saved. The villagers of Gelaur had to take a circuitous route and travel 19 km to Wazirganj, the nearest district town. This was because the massive 360 feet long, 25 feet high and 30 feet wide sheer rock came in the way of the shortest possible route between the village and the town. The situation would have brought about a feeling of resignation or fatalism in the average man—as if God had himself put this giant obstacle in the path of his ailing wife. Dasrath's response was different and radical—at once unthinkable and stunningly simple. He decided to alter geography with chisel and hammer. To cut a road through the huge mass of rock. After 22 years of back-breaking, single-handed toil, Dasrath finished in the mid-'80s. The mountain had yielded to man. Now, Wazirganj was just about six kilometres away, the people of Gelaur could reach it in under an hour. His self-set target reached, some villagers advised Dasrath to meet the then chief minister, Laloo Prasad Yadav, with the plea to construct a pucca road between Gelaur and Wazirganj. "After all, Lalooji had promised the people of Bihar roads that were as smooth as the cheeks of Hema Malini," recalls Bujhaval Manjhi, a 73-year-old farm hand from Gelaur. "Lalooji did direct his officials to take necessary action. But, as happens with such promises, no action was taken even during the tenure of Rabri Devi." Dasrath might have become a local hero, but his voice counted for nothing with the state government. Dasrath himself remained a humble, self-effacing man, doing nothing to attract publicity for his titanic feat of endurance. It didn't even bother him that the Limca Book of World Records misrepresented his achievement by giving wrong statistics that significantly reduced the size of the rocky hill he cut through, chip by chip. A few months ago, when an ailing Dasrath was egged on by the villagers to petition Chief Minister Nitish Kumar on their behalf and remind him of Laloo's promise, he went to the CM's 'janata durbar' in Patna. Nitish received him with honour, made arrangements for his medical treatment at the All India Institute of Medical Sciences in Delhi, and even offered Dasrath his own seat at the durbar. If this was a move to bring the CM favourable media publicity, it succeeded admirably. More importantly, Nitish not only promised the pucca road connecting the village to Wazirganj town, but also a hospital in Gelaur itself—to be named after Dasrath. The land on which the hospital would come up had earlier been allotted to Dasrath, but the typically selfless man would rather that a hospital be built on the plot. It is a poignant irony that just a few weeks later Dasrath himself died at AIIMS—far from the place where he had spent his life in selfless toil, and where he continued to live in obscurity. The recognition that had been denied Dasrath during his lifetime finally came after his death. The Nitish government arranged to bring his body to Gaya. Dasrath was given a state funeral last Saturday at his village, his body draped in the tricolour and men in uniform serving as pall-bearers. Besides the CM, Bihar assembly speaker Udai Narayan Choudhary and sundry legislators were present. Dasrath's mortal remains were not consigned to the flames but buried in accordance with the Kabir Panthi tradition. 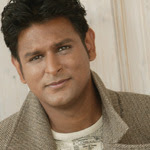 The chief minister paid fulsome tributes to Dasrath's "perseverance and dedication", describing him as "a great soul". But in Gelaur they have a more apt sobriquet. They call him "the man who moved a mountain". Watch the story of the Super 30. Captured by CNNIBN. How the Duo Abhayanand and Anand Kumar have made the dream of poor resource less students a reality. Here we are in 2007, having just celebrated our Nation's 60th birthday, in this new era marching ahead with great hope and conviction to take our country to new heights. We are talking about world being flat and information being power, we are talking about tele density and broadband penetration but alas we still come across horrific incidents where people are being killed for just being Bihari. By destiny they were born as Bihari and that become the cause of their gruesome killing. against Bihar and Biharis. So how do we react to this as a Bihari and citizens of this country? spare a moment for the cause of the bereaved soul and lodge your protest against this incident in strongest possible word. Let's hope and pray that incidents like these are never repeated and also express our solidarity with the family members of the bereaved ones. our voice against this act of cowardice. all your friends and relatives and request them to sign this petition, let's try and ensure that each Bihari put his protest against this heinous act. The Centre on Sunday appointed politically-shrewd Rameshwar Thakur as the Governor of Karnataka, shifting him from Orissa. Days before the change of guard, from the JD(S) to the BJP in the State, the Centre on Sunday appointed politically-shrewd Rameshwar Thakur as the Governor of Karnataka, shifting him from Orissa. Thakur will take oath as 15th Governor on August 21 at 12 noon, according to Raj Bhavan sources in Bangalore. Apart from Karnataka, President Pratibha Patil on Sunday appointed new governors for Andhra Pradesh, Karnataka, Orissa, Rajasthan, Arunanchal Pradesh, Uttarakhand and Sikkim. Thakur, a native of Bihar and a former Union minister, is expected to play a vital role in the State as the chasm between the ruling JD(S) and BJP had widened on the question of transfer of power on October 3. Mr Thakur has been appointed Karnataka Governor for the remainder of his term, succeeding T N Chaturvedi, whose term of office expires on Monday. Trilok Nath Chaturvedi, who took charge as 14th Governor of Karnataka on August 21, 2002, is an expert in parliamentary affairs and legislature procedure. And he proved it time and again by guiding and, in fact, cautioning the Government whenever it went astray. Though he was appointed by the BJP-led NDA government as the governor, he was not disturbed by the Congress-led UPA Government, which later took over the reins of power at the Centre. The 80-year-old Thakur will hold office in Karnataka till November 18, 2009. Sources said Union Home Minister Shivraj Patil had spoken to Chief Minister H D Kumaraswamy on phone before finalising the name. Kumaraswamy is expected to hand over the rein to his Deputy B S Yediyurappa of the BJP in an agreement signed by both at the time of formation of the coalition after he broke away from the Congress-led coalition in January 2006. Meanwhile, former Uttarakhand chief minister N D Tiwari has been appointed as Andhra Pradesh Governor succeeding Rameshwar Thakur, who also held the charge as Orissa Governor. Shilendra Kumar Singh, the Governor of Arunanchal Pradesh, has been appointed as Rajasthan Governor for the remainder of his term replacing Dr A R Kidwai. Nagaland Governor K Sankaranarayanan has been given the additional charge of the Governor of Arunanchal Pradesh. Uttarakhand Governor Sudarshan Agarwal has been appointed as Sikkim Governor for the remainder of his term succeeding V Rama Rao, whose term expires on October 24. Meghalaya Governor B L Joshi will take over as Governor of Uttarakhand. In snooty circles, Bihar continues to be at the receiving end of derisive comments. The phenomenon of Lalu Prasad is naturally referred to as illustrative of what awaits the nation if Bihar’s caste fixation and rustic ways are allowed their head. But be fair, Bihar is only part of the whole; political culture has declined precipitously all over the country, period. To forget Bihar’s role in the freedom struggle will be an essay in ingratitude. Jayaprakash Narayan will always stand out for his high moral principles and as an innovator of ideas; his civilization too was in a class by itself. Sahajanand Saraswati is now a forgotten figure; but it is his legacy which the communist party came to enjoy while it was entrenching itself in the Bihar countryside in the middle decades of the last century. Or consider, among the state’s chief ministers, the case of Karpoori Thakur, a person of extraordinary integrity. And whatever one’s views on Rajendra Prasad, the country’s first president, the Dalit, Jagjivan Ram, was surely one of the shrewdest and ablest cabinet ministers at the national level. Should we pass over either the impact, in the sphere of culture and literature, of the eminent savant from Bihar, Rahul Sankrityayan? If on a different plane, it is equally relevant to remember the euphoric times between the end of World War II and the nation’s independence in 1947. The country was in ferment; students were on the march everywhere, either protesting against the trial of the Indian National Army heroes or extolling the romantic mutiny of the naval ratings at Ballard Pier in Bombay. Two college girls from Bihar, still in their teens, burst onto the national scene during that phase. One of them, Ramdulari Sinha, did not stay the stretch. The other one, Tarakeshwari Sinha, went on though to win laurels after laurels. Graduating from the Students’ Congress to the faction-ridden precincts of Bihar politics, she demonstrated, in the process, both stamina and grit. Scion of landed aristocracy extracting surplus with merciless efficiency from Bihar’s countryside, she as a child had been groomed in a convent and, on entering college, tasted the excitement of the turmoil of 1942 and the following years. Self-assured to a fault, she was fluent in both English and Hindi, possessed ambition, and plenty of glamour to go with it. She fitted snugly into the turbulence of politics. Her beauty apart, she loved to dress well, and had a weakness for make-up. It would however be silly to assume that these were her only capital assets. Her major attribute was raw courage, which some people chose to describe as brashness. Women’s lib was during those days an unencountered concept; the epidemic of women’s studies was yet to spread out from across American campuses for global conquest. Tarakeshwari did not know of such tides-in-waiting. She constituted a one-woman army, fighting the battle for women’s emancipation on her own. While she fought it within the ambit of the superstructure, her heroism can scarcely be underrated. After all, most of the subsequent mobilization, too, is confined within the contours of the middle class; the women who really need massive protection at the base of the society against the ravages wrought by both mass poverty and gender inequity continue to be left out. Tarakeshwari must therefore be judged in the context of her era and milieu. Defying the manoeuvres of machine politicians, she got herself elected to the first Lok Sabha. She was young, brave and uninhibited. She would harry ministers with piles of questions, interpellations and endless supplimentaries, and would also chip in with points of order on the slightest of protest. Presiding officers as stern as Mavlankar and Ananthasayanam Aayangar found it difficult to control her ebullience. A bemused Jawaharlal Nehru thought he had a solution. He made her a deputy minister and, with a sense of puckish humour, attached her to Morarji Desai in the ministry of finance. That did no good. Opposites attract each other; Morarji, the arch reactionary and conservative, enjoyed the cheekiness of the brash young damsel; she in her turn found in him an indulgent sugar daddy, of course of the puritan genre. Ordinarily, a deputy ministerial slot is assumed to be sinecure. Tarakeshwari would not put up with the idea. Inveigling Morarji into giving her a specific area of responsibility, she was determined to prove her competence. She would, without standing on ceremony, barge into the rooms of officers irrespective of their positions. She would demand to know the difference between balance of trade and balance of payments, she had to be taught the mystique of the relationship between growth, investment and incremental capital-output ratio, she had to be helped to understand what Keynes meant by disguised unemployment. She was the only deputy minister at the time to break out of the dark chamber of anonymity. Not that the calumny-mongers decided to take a rest, they sneeringly referred to her hair-do and the heavy French perfume she wore. The same crowd however had not a word to say about the attar exuding from the frame of Satya Narayan Sinha, also from Bihar, Union minister for parliamentary affairs for a long time. The Sixties turned the scales against Tarakeshwari. Indira Gandhi believed in keeping at arm’s length women politicians; in this matter she made no distinction between her own aunt and the sassy upstart of a woman from the Bihar plains. It was thus inevitable that when the Congress party split, she kept the company of Morarji Desai in the camp of the old fogies, who began to experience a lean time. The post-Emergency triumph of the Janata Party revived Tarakeshwari’s spirit for a while. But the party soon split, and fissures have a way of multiplying themselves in the North Indian climate. Even though she maintained her links with one faction of what emerged as the Janata Dal, it was not quite the same again. At a certain juncture, she disappeared from the political rostrum. Glamour is an ephemeral happenstance; it is also skin-deep. So forget about it. In addition to her courage, Tarakeshwari’s real treasure was her natural friendliness and a measure of dignity accompanying it. A particular recollection haunts the mind. In July 1984, Farooq Abdullah had invited all opposition parties to a conference to chalk out a detailed programme of action for realigning the Centre-state relations in the country. EMS Namboodiripad, then general secretary of the party, led the Communist Party of India (Marxist) delegation. Though it was summer time, Srinagar could be quite chilly in the mornings and the evenings. All EMS had as protection against the cold was a faded knitted sweater already coming apart at the neck and along the sleeves. Tarakeshwari persuaded EMS to take off the sweater; she wrapped her own shawl round him, commissioned a pair of knitting needles and some matching wool, mended the sweater and handed it back to EMS with a charming smile. It was a performance which expressed, at one go, respect for a great leader, affection and womanly grace. That was the point of the matter. Tarakeshwari fought and won the gender battle much ahead of the Jennys who now choke the boulevard. She also proved something else; an emancipated woman need not discard either feminine grace or domesticity. Tarakeshwari Sinha made the point and withdrew from the scene. She died last week. Till they themselves drop off, those of her friends who are still around will keep remembering her as an ethereally lovely human being. Central ministers hailing from Bihar, one of India's most backward states, want projects akin to the Delhi-Mumbai Industrial Corridor (DMIC) to pierce through their state, showering economic benefits. Inspired by Commerce Minister Kamal Nath's success in getting the route of Delhi-Mumbai Industrial Corridor altered so that it passes through his home state of Madhya Pradesh, the ministers have demanded that a project similar to the USD 90 billion DMIC be designed for their state as well. A top official source said ministers from Bihar have been assured that a similar corridor could be considered when the dedicated eastern rail freight corridor project is taken up. "That is the next step, they were told," the source said. The DMIC project, conceptualised to benefit from the rail and road connectivity offered by Delhi-Mumbai Dedicated Rail Freight corridor, was to originally pass through five states of Uttar Pradesh, Haryana, Rajasthan, Gujarat and Maharashtra. Later, on the intervention by Nath, who has been representing Chindwara constituency in Lok Sabha for the last 27 years, Madhya Pradesh was included in the project. Though Nath succeeded in getting the industrial corridor, the rail route could not cover the state since the Japanese, key partners in the project, found it unviable, sources said. Top central ministers from Bihar include Railway Minister Lalu Prasad, Rural Development Minister Raghuvansh Prasad Singh, Corporate Affairs Minister Prem Chand Gupta and Steel Minister Ram Vilas Paswan. The hoary temple at Deoghar (the home of gods) is the most important pilgrim point in Bihar that attracts thousands of Shiv devotees during the month of Shrawan (July/August), when the summer heat has just given way to the early monsoon. Saffron clad pilgrims with pots of holy water, well balanced on their shoulder make a 100 km bare trekking from Sultanganj (where the holy water of Ganges is considered holdier due to its unusual flow northwards) to Baidyanath Dha at Deoghar. Water is poured on the lingam to appease Shiva. The sanctity of Deoghar lies in its legend of Ravana who went all the way to Mount Kailash, pleading Shiva to make Lanka his hoe. Ravana’s other was an ardent devotee of Shiva and she worshipped a Shivling made of clay, which soon dissolved with daily pouring of water over it. This prompted Ravana to implore Shiva if he would reside in Lanka. Lord Shiva did not accede to Ravana’s prayer but offered him one of twelve emblems of his divinity (Jyotiralinga) which would be quite as effective and that he might take it away on the condition that the transfer should be effected without breaking the journey. Moreover if the linga was placed elsewhere on earth during the journey, it would remain fixed on that spot forever. The other gods felt unhappy at the Jyotiralinga being tansported to Lanka which would render them powerless in their fight with Ravana. Accordingly they planned to outwit Ravana. Varuna, the god of water entered the belly of Ravana, urging him to relieve himself. Ravana was left with no alternative but to descend and befriend and old Brahamin (who was Vishnu in disguise) begging him to hold the lingam for a while. On return Ravana found the lingam lying on the ground and the Brahamin was nowhere to be seen. He was in a great rage but equally helpless as he tried hard to reove the linga from the spot but be only succeeded in breaking a piece of the top of it. This place where the jyotiralinga was destined to last for ever is Deoghar, also popular as Baijnath Dham. At Bagodar in Giridih is Hari Har Dham, famous for the 62 feet high linga (completed in 1987), which marks it as the tallest in the world. Spread over 25 acres of land and surrounded by rivers, the place offers a picturesque surrounding. The people of Mithila are believed to have followed the Panji Prabhadha (system of recorded genealogy) since the fourteenth century. These records were maintained by the Panjikars, who were later to examine the validity and purity of marriage settlements. 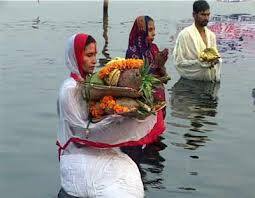 In fact one was supposed to be are of his ancestors names and a daily rite of Tarpan ensured that people offered oblations of water in the name of each ancestor upto six or seven generations. If one recalls the name of one’s acestors daily, one can not forget their names ! 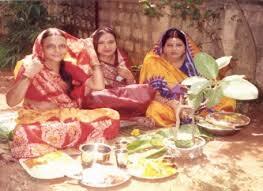 Sarhul is the most important festival for the tribals of Chotanagpur. It is celebrated with the advent of spring (February/March) when the sal tree is full bloom. These trees in the sacred grove are highly venerated and the festival centres around the holy spirits that dwell here. 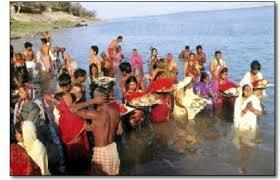 The focal point of the festival is to obtain a good harvest and hence appeasement of goddess of nature. Popular art is the expression of people’s sensitivity. Importance of popular art reside in the fact that it simultaneously creates a form of artistic expression while revealing the psychology of the society from which it emerges, reflecting its moral values and customs. The people of Mithila in northern Bihar stick to their centuries old custom and orthodox belief that the land of Mithila or Mithilanchal is holier when compared to other parts of Bihar. The belief possibly stems from the historic fact that Mithila was first to be brought under the influence of Aryan culture. and to this day the Mithilis take pride in their continuity of language, custom and culture. They are known to adhere to the minutest details in rituals from birth to death according to the dictates of the Shastras (sacred texts on ritual worship). The tradition of painting walls for beautification of dwellings in Mithila is believed to have survived from the epic period. Tulsidas gives a vivid account of Mithila decorated for the marriage of Sita with Ram. These decorations are mythological murals, added with deities of Hindu pantheon, besides regional flora and fauna. The earthquake of 1988 devastated parts of Darbhanga and Madhubani. Perhaps, the greatest damage caused was in the palace complex, replete with paintings done two centuries ago, as per the Mithila traditions. The land of Mithila is covered by the present districts of Champaran, Saharsa, Muzaffarpur, Vaishali, Darbhanga, Madhubani, Samastipur, parts of Monghyr, Beguserai, Bhagalpur and Purnea. Madhubani is the heartland where the paintings are more profuse than elsewhere. The ceremonial folk paintings - popularly identified as famous Madhubani paintings - are the exclusive monopoly of women artists, passing down for generations from mother to daughter. The girl learns to play with the brush and colours at an early age which finally culminates in the Kohbar (nupital room), which acquires great sanctity in the social life of Mithila. All religious ceremonies relating to the marriage are performed in the Kohbar.The deep (earthen lamp - a symbol of happy conjugal life) is kept burning in all through for four days. The Kohbar is replete with paintings based on mythological, folk themes, and tantric symbolism, The paintings in this chamber are designed to bless the couple. The central theme of all paintings are love and fertility, though the approach may vary. It can commence with the story of Sita’s marriage or Krishna - Radha episode with the ecstatic circle in which he leads the gopis. Maithilis are Sakti worshippers with the influence of Tantric rituals and so Siva-Sakti, Kali, Durga, Ravana and Hanuman also appear in their murals. Symbols of fertility and prosperity like fish, parrot, elephant, turtle, sun, moon, bamboo tree, lotus, etc are more prominent. The divine beings are positioned centrally in the frame while their consorts or mounts or simply their symbols and floral motifs forms the background. The human figures are mostly abstract and linear in form, the animals are usually naturalistic and are invariably depicted in profile. It beings with the flow of the brush without any preliminary sketching. Though natural colours and twings have given way to brushes and artificial paints, the subject of Madhubani paintings remain unchanged. The chief exponents of these paintings are the Maithili Brahmins and Kayasthas. In the village of Jitwarpur (stronghold of Brahmins) and Ratni (dominated by the Kayasthas) the Madhuani paintings have emerged as a commercial activity where children can be seen engaged in arranging the hand crafted paper or fetching the colours. The commercialisation of Maithili art took place in 1962 when an artist touring this village was attracted by the murals. He persuaded the women to paint in their traditional way on paper. This was a great success and a ticket to trade. Since then the painting medium has diversified. Wall paintings were transferred to hand made paper (which was of poster size) and gradually it preyed for other mediums and motifs like greeting cards, dress materials, sunmica etc. In the beginning, home made natural colours were obtained from plant extracts like henna leaves, flower, bougainvillea, neem, etc. These natural juices were mixed with resin from banana leaves and ordinary gum in order to make the paint stick to the painting medium. Home made paints, though cheap, was time consuming and produced less than the requirement. The solution was to switch to the synthetic colours avaibale aplenty in the market. Now colours come in powdered form, which are then mixed with goat’s milk. However, black continues to be obtained from the soot deposits by the flame of diya, dissolved in gum. The colours are usually deep red, green, blue, black, light yellow, pink and lemon. They created mood and hence played an important role. For instance, energy and passion find expression through the use of red and yellow, as monochrome crashed over large surfaces of the painting. Concentration of energy and the binding force is best reflected in red while green governs the natural leaves and vegetation. The Brahmins prefer the very bright hues while the Kayasthas opt for mutted ones. In another class called the Harijan style of painting, hand made paper is washed in cowdung. Once the paints are ready, two kinds of brushes are used - one for the tiny details made out of bamboo twigs and the other for filling in the space which is prepared from a small piece of cloth attached to a twig. Besides the Madhubani paintings, Bihar is famous for the Patna Qalam (paintings). The 200 year old art form traces its origin to Humayun’s exile to Persia, from where he brought a select set of artists to illustrate Dastan-i-amir Hamza. The Persian artists who had migrated from Hirat had mastered the distant lines from the Chinese and added to it an intense individualism. Akbar greatly encouraged the painters and by the end of his reign a new kind of painting emerged out of the native and foreign fusion. This was referred to as Mughal style of painting which further ramified, later on, into numerous sub schools or qalams. Patna being one of them. In words of Abul Fazl, the Mughal paintings are "incomparable, transforming inanimate objects into life through the minuteness in details, the general finish, the boldness of execution observed in pictures". Jehangir’s expertise in painting can best be summed up from his own memoirs: " As regards myself, my liking in painting and my practice in judging it has arrived at such a point that when any work is brought before me, either of deceased or those of the present day, without names being told, to say on the spur of the moment that it is the work of such and such a man. If any person has put the eye and eyebrows in a face, I can perceive whose work the original face is, and who has painted the eye and the eyebrows." Aurangzeb’s dislike for art compelled the artists to leave Delhi in search of new patrons. Their first march was to Murshidabad where the Bengal nawabs were at the helm of their golden days. However, the glory of Murshidabad was shortlived and once again the artists panicked but this time they packed for Patna, which was fast growing into a commercial city with various European factories and trading centres. The migrant artists who settled at Patna produced numerous paintings which are commonly referred to as Patna Qalam. The earliest among the migrant artists to Patna included Sewak Ram (1770-1830) and Hulas Lal (1785-1875). Sewak specialised in Kajali siahi which excludes the pencil work before applying the brush. Paintings by these two artists can be seen at Patna Museum and State Art Gallery. Ram Sewak depicted typical Indian occupations of the kind that generally appealed to the British. He displayed his adaptability not only in the choice of theme but in technique as well. His subject includes holy men, farmers, grain sellers, potters, weavers, musicians, etc. It is astonishing how these descendants of the Mughal miniaturists who revelled in giving a visual form to literature adapted their wares to British tastes. Shiva Lal and Shiva Dyal Lal were famous for their miniatures. Shiva Lal’s famous painting, ‘Muslim wedding’ has been commented upon as the picture with dignity and restraint in absence of the gorgeous colours and decorative background of the Mughal paintings. 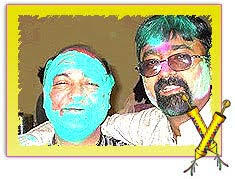 These two artists had quite a flourishing business at Patna and among their customers were both Europeans and Indians. The Khuda Baksh Oriental Public Library has among its collection two miniature portraits of Nur Jehan at different stages of her life. Painted by Syed Moinuddin, they reveal the Bihari miniature akin to Delhi’s ivory discs. of the two portraits, one depicts Nur Jehan as an empress dressed in formal regalia with her fair looks although an element of remorse creeps in. The other painting captures her happier mood (possibly before the death of her first husband) draped in the traditional orni (veil) that anchors her maidenly appearance. The theme of Patna Qalam, though on small canvas, centres around the lives of ordinary people, their profession, customs and cultures of Bihar. Unlike the Delhi artist, they used the slating dot system. In the early days, the artists themselves prepared their own paper for painting and so were the colours assembled from various flowers, leaves, metals, shellac, clay, etc. Besides paper, paintings were also made on ivory, metal and mica sheets. When the Britishers left India they purchased a good number of these Patna Qalams. Thereafter the art was on the scale of decline. Around 200 of them are preserved in Kensington Museum, London. Patna Museum has 65 of them while Chaitanya Mahasabha, Khuda Baksh Library, Lalit Kala Akademi, Government School of Arts and Crafts are few of the places for reviewing this famous school of painting. During the 19th century, Bihar was one of the four sub-provinces of the Bengal Presidency of British India. Bihar was the most important regional source of indentured labourers who worked and lived on the sugar estates of Mauritius. Between 1834 and 1890, the indentured workers from Bihar consisted around 40% of all the contractual labourers who were brought to the island. During that period, it is estimated that more than 170,000 indentured labourers out of the more than 430,000 workers who were landed in Port Louis were from districts located in Bihar. In addition, between 1849 and 1890, more than 130,000 of these Bihari workers passed through the Aapravasi Ghat site. In Calcutta, the majority among them transitted through the Mauritius Emigration Depot at Bhawanipur and the majority of these workers were adult males between the age of 18 and 50.
he Bihari indentured labourers who came to Mauritius were mostly Hindus with some Muslims and Christians. They came from districts located within Bihar such as Gaya, Ghazipur, Arrah, Gorakpur, Sahabad, Azmbargh, Patna, Ranchi, Murzaffurpur. There is also archival evidence to show that as early as the mid-1830s and early 1840s, there were thousands of tribals who were brought as contractual workers. Between 1834 and 1870, more than 60,000 tribals coming mostly from Bihar were landed in Port Louis. On 2nd November 1834, 36 hill coolies from Bihar arrived in Port Louis harbour on board the ship the Atlas. They were landed near the present-day surviving stone structures of the Customs House by Mr. Arbuthnot, a British planter settled in Mauritius with the approval of Governor Nicolay. The arrival of these indentured labourers is commemorated as a national public holiday each 2nd November in Mauritius. Between 1834 and 1839, or during the first period of Indian immigration, around 15,000 out of the total of 25,000 indentured workers came from Bihar. The bulk of the Bihari indentured workers migrated to Mauritius between 1834 and 1890. Today, more than 33% of the Mauritian population are direct descendants of these Bihari contractual labourers. In 1968, Sir Seewoosagur Ramgoolam, the son of Moheeth (Immigrant No.353639), a Bihari indentured labourer who arrived in Mauritius and passed through the Aapravasi Ghat in 1871, became the first Prime Minister of Mauritius.